Your donation today helps the cost of CASA advocacy for a child by finding a safe, loving and permanent home for that child to live in. 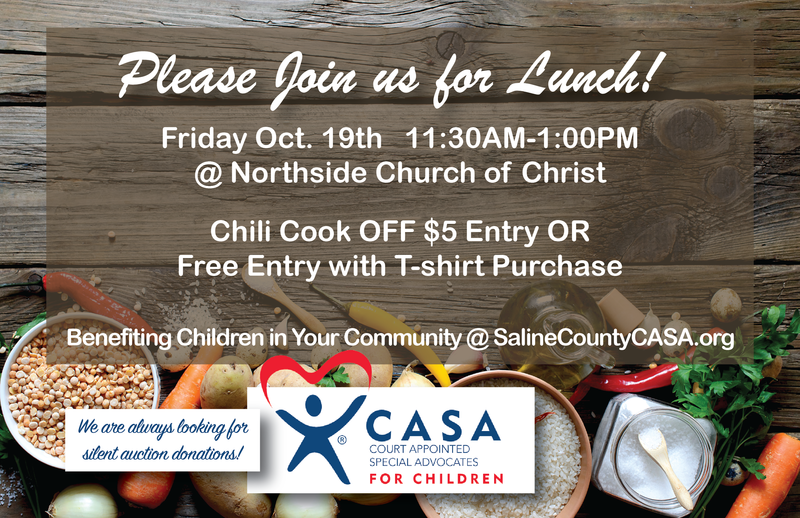 Your T-shirt Also gives you FREE Admission to our Chili for Children Event! 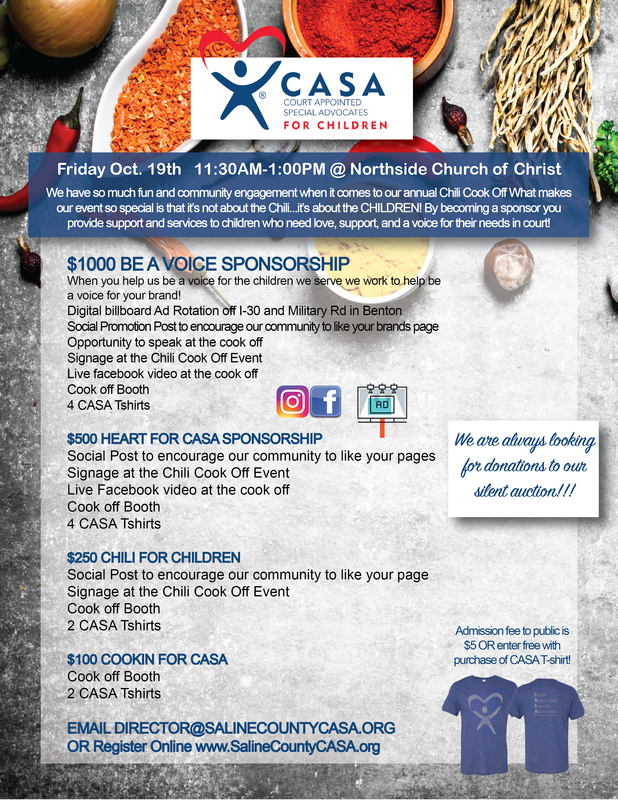 Join us as we come together as a community to support children who are neglected or abused, and celebrate when they are placed back into a safe environment! 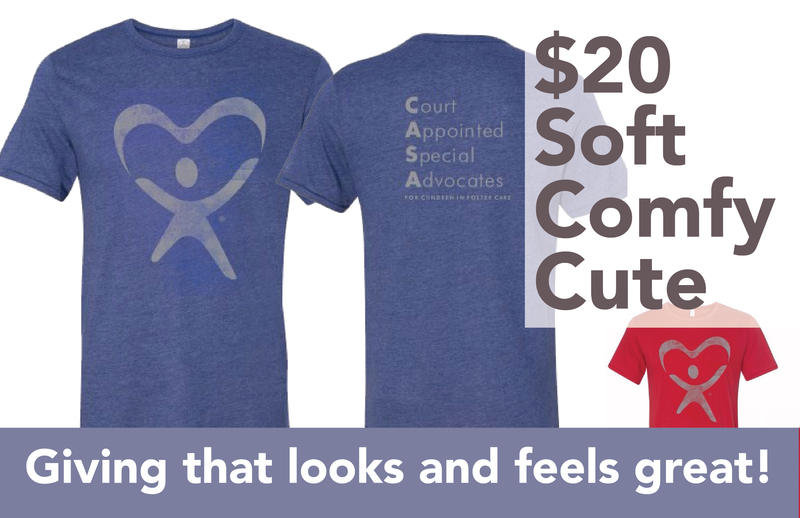 Become a child's voice in court—become a CASA volunteer. We hold training sessions twice a year! Please contact us today if you are interested in learning more! This form stopped accepting submissions on September 23, 2017 9:00 am CDT.